Sound Tribe Sector Nine, aka Sector Nine, aka Sound Tribe, aka STS9, aka one of the best touring bands at the moment. In January 2014 it was announced that David Murphy, a founding member of the band that had been with them for 15 years of face-melting, would be leaving the band due to personal and musical differences. It was unknown what was to come of the all mighty rocky gods of the Sound Tribe after this. Speculation was flying all over the place, until McDowell Mountain Music Festival. Once they hit the stage David Murphy's replacement was confirmed. Who was it that was set to take hold of the reigns and lead a new era of funky get downs? None other than Alana Rocklin. This rock goddess came into the tribe and elevated them to a new level of cohesion and musical prowess. Her presence has been known since joining STS9. In Chicago it was no different. While every night at this intimate venue in Chicago was filled with delicious sound bytes, there are always some all-stars in the group that stand out more than others. Some of my favorites from Thursday night were "Kabuki," "Breathe In," "The Rabble," and their stellar encore, "Satori" - which was last played on 2013.12.30 in Atlanta, GA, an awesome show in its own right. Friday night they treated the crowd with a "Kamuy," "Circus," and "Glogli" during the first set. Following up a killer first set, the tribe destroyed a version of "Ramone & Emiglio" that lasted for almost thirteen minutes. Not to mention the great "Abcees" to close out the 2nd set only to be followed by a "We'll Meet in Our Dreams" encore. Yea, Friday was pretty fun. Saturday night started off pretty good with a "Shock Doctrine," "Monkey Music," "Golden Gate" combo right off the bat. Throw "Blu Mood" and "When the Dust Settles" in there and you've got yourself a hell of a setlist going. With so much for the 2nd set to live up they had to pull out the big guns to keep things going. The second set of Friday night opened up with a killer improv session followed by "Frequencies Peace 2 > 3." 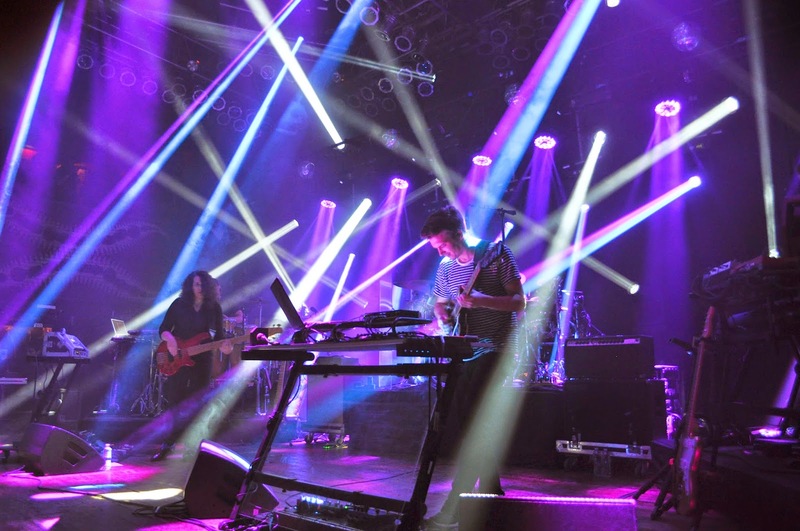 Somewhat controversially they whipped out "Awesome feat Cool Kids (STS9 Remix)." I liked this though because it's almost always followed by "The Unquestionable Supremacy of Nature," which is a favorite of mine. To top it off they played a ten minute version of "Water Song" right after. All in all it was a great weekend spent with great friends listening to great music surrounded by a ton of great people in a great venue in one of the greatest cities in the world. 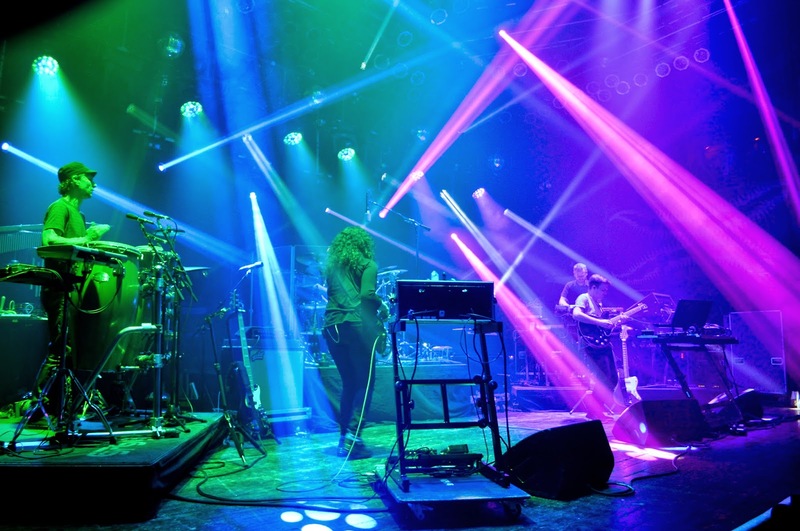 STS9 already has a good amount of festivals lined up for the summer, so chances are they're coming somewhere near you. Check out their tour dates: HERE. All 3 shows are available for download on 1320 Records' website, just click the name of the day you want to check out: Thursday, Friday, & Saturday.